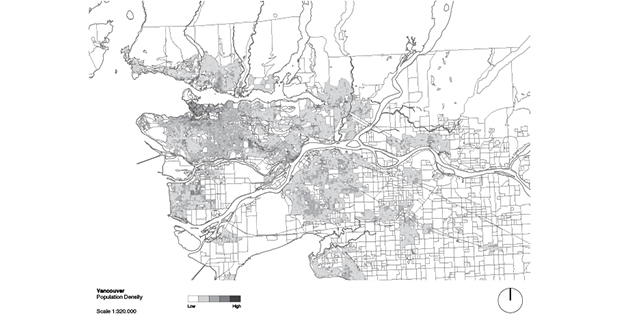 The purpose of this research was to provide recommendations for a deployment sequence for Electric Vehicle Public Fast Charging Stations for the Province of British Columbia. In addition, it provides flowcharts to assist local and provincial authorities in selecting Electric Vehicle (EV) Fast Charging sites. 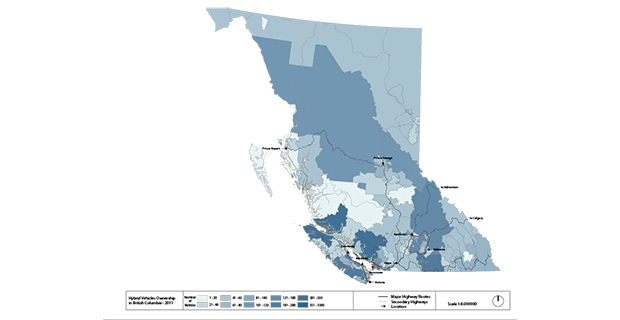 This research was posted on the Province of BC website for all interested stakeholders to access during the process. The introduction of new infrastructure to an existing built fabric is an exciting and challenging exercise. To the organization charged with this task, there are a broad range of considerations: the basics of range coverage and relieving range anxiety; locating stations where they will most easily attract drivers; considering what drivers might do while charging; and evaluating feasible economic and business models while integrating successful branding and wayfinding strategies. Locating each station strategically within the introduction of the broader network is key to the success of the charging infrastructure and the overall adoption of EVs. In British Columbia, the provincial government has an interest in promoting electric vehicles to reduce carbon emissions. As nearly all of British Columbia’s electricity is renewable resource-based, EVs can be a highly sustainable method of transportation, if electricity demand is well-managed. To encourage the adoption of EV technology, the provincial government has created the Plug-in BC Working Group with a mandate to install a network of highly visible infrastructure. There are many other stakeholders who have a critical role in the deployment of this infrastructure: city and town authorities, future station owners, EV owners, the utility, and other commercial owners who may want to incorporate EV charging as part of a green business strategy. Fast charging presents a short-term market adoption gap to EV friendly regions: the infrastructure is necessary for basic functionality and to enhance public confidence, but is not anticipated to immediately provide a robust business model whereby electricity can be sold for a profit. The infrastructure and installation costs of fast charging stations are estimated to far outweigh the profit potential in the early stages. However, public charging does play a significant role in promoting the use of EVs and relieving range anxiety in EV drivers. In Japan, a pilot project by the utility TEPCO (Tokyo Electric Power Company) showed that although the public charging infrastructure increased the confidence of EV drivers by significantly reducing range anxiety, drivers still returned to charge their car at home. The change in behaviour, however, was significant: prior to the public fast charging stations being installed, most drivers returned home consistently with greater than 50% charge remaining; after the public stations were installed, many returned home consistently with less than 50% charge. From cases like this, it can be concluded that a reliable network of public fast charging stations is necessary to bolster driver confidence and encourage widespread EV adoption. In determining deployment sequencing there are several indicators which can be examined. These indicators include population density, hybrid ownership, EV ownership, and origin-destination information. In applying these indicators to the examination of cities and towns, and the highways that connect them, we have developed a robust picture of the province and made recommendations on infrastructure deployment at both a city and corridor scale. In previous research, we examined these criteria in combination with the indicator information to determine a methodology for siting at a city and highway scale. Investigating street siting for stations requires thoughtful consideration of traffic patterns, electricity availability, property availability, visibility, cultural branding, and other planning and economic considerations. In this research we have developed a process to guide municipalities through siting stations – from the city and highway scale down to the street scale. The explorations necessary for the development of a deployment methodology also raise deeper questions about the potential of this new infrastructure. 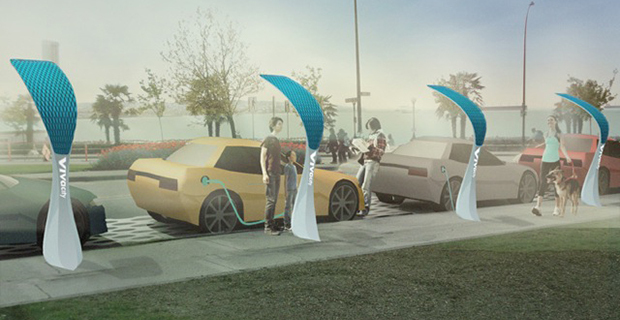 The introduction of fast-charging stations in the early 21st century has a clear parallel with the introduction of gas stations in the early 20th century. In many cases, automobiles and gas stations were introduced without any regard for their urban impact, while in others, they were introduced in clear service of a new idea: the clean, functionally-separated, futuristic, highway-driven city. An awareness of this history highlights the opportunity for fast-charging stations to either be deliberately like gas stations, or deliberately different; if the “deliberately different” path is chosen, even in a portion of cases, new potentials are unlocked for fast-charging to have a larger impact on the reduction of emissions and fossil fuel dependence, as well as positively affecting the economic and cultural life of cities. For example, where gas stations have almost without exception represented a drain on small town centres by focusing economic activity on the highway strip, fast-charging stations might be embedded within small towns, turning the constraint of charging time into an opportunity for interaction with local businesses, cultural attractions, or public amenities. In a larger urban setting, fast-charging stations might be synergistically located with potential electricity producers, highlighting the role of energy in the city. 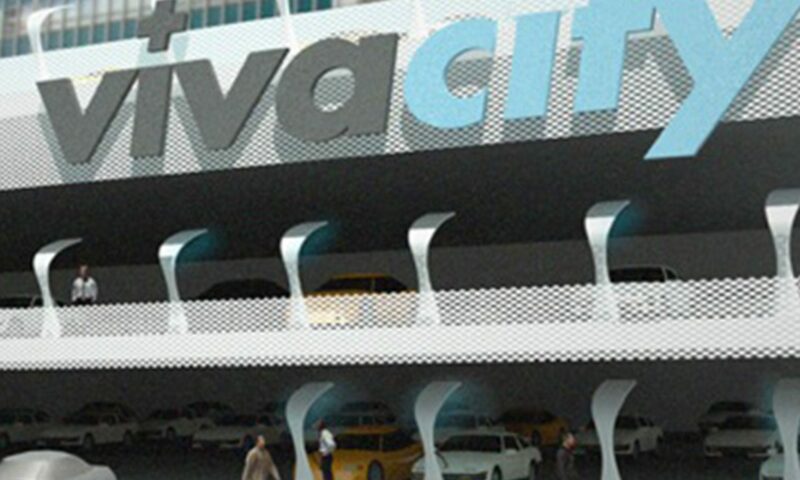 These are just two examples of the ways decoupling fast-charging stations from the conventional gas station model could foster a qualitatively different relationship between cars and the city than that which was accepted for the previous century.